I have owned a Canon C300 for almost 2 years now. Mostly shooting from tripods, sliders, or dollies. I have had a few occasions to shoot hand held, but only in a minimalist configuration. My shoulder mount kit consists of a ARRI dovetail system with a All Star Cine shoulder Pad and a Zacuto C300 grip extender. The system was ok, but my biggest gripe was the last of a true eye-cup viewfinder. 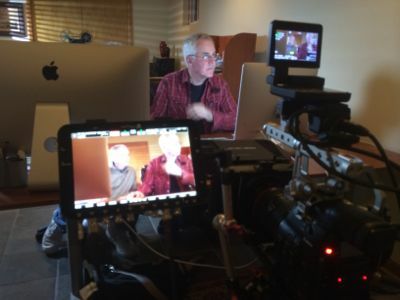 For the most part, I was OK using the Canon EVF, especially since you need it for audio. I did not feel like I wanted to add another small monitor for such a dedicated purpose. When the Deity Mira came along, I almost purchased one, but decided against it based on a few reviews. Around the same time I was looking for a replacement top handle for the C300. The Canon factory handle was ok, but I was always a little leery of it’s strength. I purchased a used Movcam handle from a DVXUser member. It was a major step up in strength, plus added numerous mounting points for accessories. The biggest flaw for me was the sheer size of the handle. 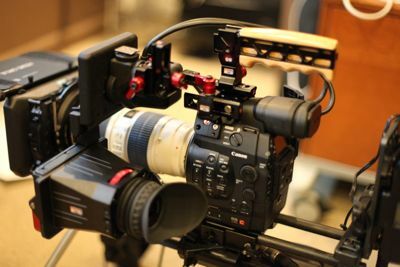 Just before NAB, Zacuto released a new handle kit for the C300/C500 cameras which was much more compact than my setup, and since I spend most of my time on the road, I felt like this kit would save space. I ordered the “helmet” and handle with the cold shoe adapter. The helmet is a single piece that screws into the top of the C300 camera, like the factory handle, put it provides two more screw points on the sides. The handle then connects to the helmet with a single z-rail. Right off the bat I was impressed with the rigidity of the handle. It offers a fair amount of flexibility in position and orientation. The handle itself is wrapped with wood, and feels smooth and sturdy. 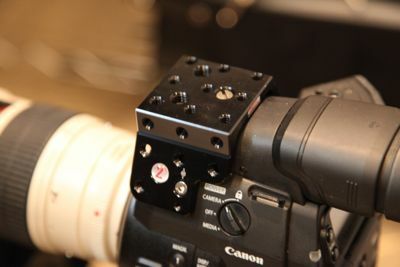 There are two cold-shoe attach points for the EVF, so no loss in functionality either. In terms of space, it takes up less room than Canon’s handle. Win-Win! The handle and helmet retail for $465. A no-brainer purchase for me. Since I was happy with the handle, I decided to try the new Z-Finder as well. The Z-Finder is really a eye-cup for the Canon screen, with a 1.8x magnifier built in. There are 4 drop-in diopter lenses included to fine tune it your liking. The Z-Finder attaches to the helmet with another speed rail, and includes a bracket which allows for placement of the Z-Finder based on your rigging. The eye-cup itself attaches to the EVF with a cleaver pressure mount which is quick and easy to take on and off. 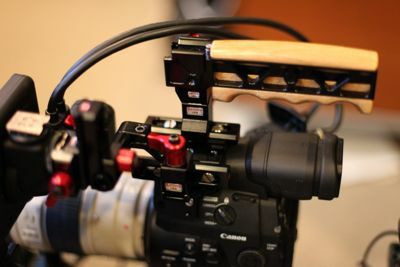 Zacuto even includes a little plastic lever to prevent the EVF from folding up when pressing your eye against it. Like all Zacuto parts that I own, they feel well made. For $695, I feel it makes my hand-held shooting more comfortable, in the sense that I can now accurately get focus. 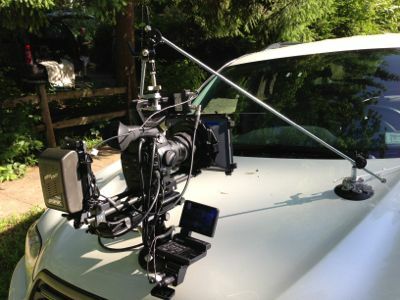 My only concern is that the Canon EVF cables may constrain how far you can push the Z-Finder forward on your rig. I know that I am planning on having my cables lengthened by Canon when it goes in for the AF upgrade next month.